As we’ve discussed, home security is about defense, deterrence, and detection. And it’s important to start with defense. The good news is that defense and deterrence, are relatively inexpensive areas to address. I guess you now know the bad news…that’s right…you guessed it. Detection is usually a bit more expensive. If you decide to go the cheap route on detection, (and there’s plenty of that type of equipment out there), you run the risk of having gear that doesn’t work well. And if it doesn’t work correctly, what’s the point? Now some just want to use cameras, particularly outdoor one’s, as a deterrent. In other words, the bad guy spots them from a little distance and decides to leave your property alone. And for that you can buy dummy cameras. These products actually have good overall ratings. With nearly one thousand reviews between the two of them (as of 3/19/18), they score 4.2 and 4.5 respectively. However, the negative reviews are pretty much all the same. They are just “cheap plastic” that either showed up broken or broke shortly after install. Make sure your defense is solid. Defense is your foundation. That cannot be overstated. Remember, the goal is to keep those with ill-intentions out. It’s better to have strong castle walls (that still look nice and attractive), than a couple of tricks up your sleeve. According to This Old House, if the thugs can’t get into one of your doors (front, side, or garage) then you’ve stopped 64% of them right there! Remember, deterrents don’t deter all criminals. If you purchase a package of dummy cameras, the knot-head trying to get into your home may not even see them. That means he’s the dummy! Or, maybe he sees them and takes the time to figure out they aren’t real. It happens. Now I’m not trying to talk you into or out of using these devices. What I am trying to do is inform you regarding them. It’s important to understand that they are inexpensive deterrents that will only get your attention when they fail. If they scare off a would-be burglar, you’ll probably never know that they worked. There’s no video recording. If someone still tries to break into your home after you’ve mounted them, you’ll know they failed. And when they fall apart, because all plastic stuff does that after being outside for a while, you will know. When you decide to address detection, don’t go cheap. As I said earlier, there’s a lot of inexpensive camera monitoring equipment out there. And if you spend $100 only to find out you can’t actually perform any significant detection, you’re not gonna be too happy. Night Vision Capability – How much money am I saving if my camera can’t show me what’s going when the lights are out? For me, infrared cameras are a necessity. Continuous Recording – For most people, myself included, all I need is the camera to turn on with the built-in motion sensor. But there are times when you will probably want it to record 8 or more hours like a nanny cam. For this reason, I’m not wanting a battery operated camera. Super-wide Vision – A number of cameras are labelled wide-vision, but the “wideness” does not extend to the up-and-down view. In other words, you will only be able to see a person from the waist-down in some parts of the room. 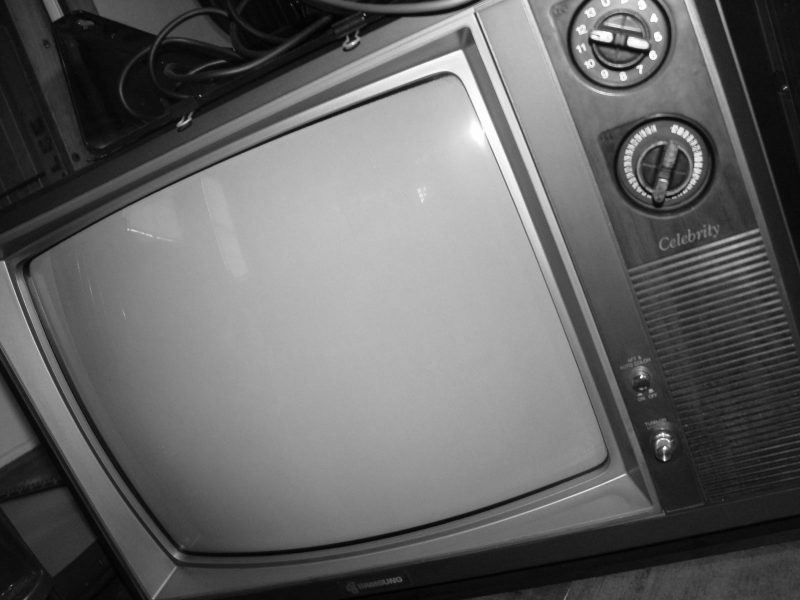 Live-stream Viewing via the Internet – Some devices only record. You can’t see what happened until you pull out the memory disk. Some equipment has live-streaming but it’s only by using Bluetooth. If you’re on vacation, you can’t see anything going on back home even if your system notifies you of movement. I want to see what’s happening so that when I call 911 I’m not reporting an alarm (Priority 3 or below), but an actual intruder (Priority 1). I guess now you can see why, for me at least, the cheap (less expensive) gear doesn’t satisfy the detection equation. You still don’t have to spend a fortune. The reviewer above says he’s going to buy one camera at a time. I get that. However, a do-it-yourself kit can save you a ton of money IF you carefully make sure what you’re getting. As I was searching for equipment, I found a $149 Infrared, outdoor camera at Mr.Security online. It seems to meet all of my requirements. But two cameras without a DVR, though not surprising, had me already at $300. The matching indoor cameras are $99 a piece and the DVR to go with them is $199. Obviously that’s $700. And though not outrageous for a system, I’m a DIYer because I like saving money. There’s no real data on dummy cameras because the only time they get our attention (as with most deterrents) is when they fail. Add to that, they are very inexpensive. So maybe if you can’t afford the real thing, they’re not a bad idea. Focus of defense first and foremost. You must harden the weak points if you want a secure home. Finally, if you are ready to work on detection don’t waste your money on cheap. And don’t spend a fortune either. We proved today that by shopping around we could find a pretty good deal. So what do you think about dummy cameras? Do you have a detection system? Do you like it? Have you taken care of the all important defensive needs of your home security yet? What can I do to help? Previous Post - Previous post: Do Alarms make home more secure? Thanks for the useful info! I have been thinking about putting up some “dummy’ cameras out side of my house to go w/ my Ring door bell but after reading this I have have changed my mind and am gonna invest in some real quality cameras to be on the safe side. Thanks again! I’m moving next month and will need security cameras as I’ll have my RV and an enclosed deck. Since discovering the kit at Mr. Security today, I’ll likely go with it and then be able to write a full-fledged honest review. Maybe that will be of some help to you. I like to watch crime shows where they look at the surveillance cameras and they always seem to be out of focus and you can’t seem to make out anything in the pictures. What’s the point of the camera then? May as well dish out the extra few bucks to get a good quality one so you can catch the criminals and know they won’t be coming back. It’s definitely worth it. That is funny and a bit sad. 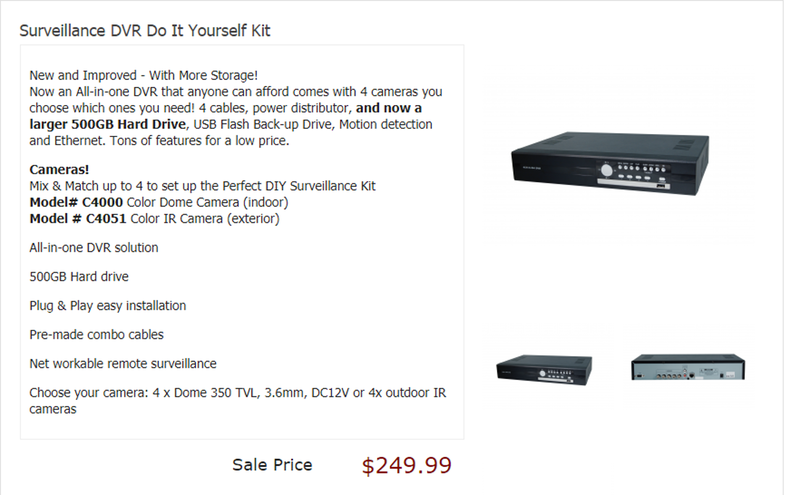 I mentioned to D’one, a comment above you, that I’m moving next month and am planning on purchasing and installing the kit I found at Mr. Security earlier today. Point is, I will be able to give a very personal review if that is of any interest. I think the continuous recording is just essential and my father just said that we need something like this. So I think I can afford a dummy camera which is around 30$ without any problem and Masione 4 fits the bill. As to continuous recording, I totally agree. That’s one thing I really like about the Mr. Security kit; 500 Gigs of storage! And I’m glad you found some dummy cameras to meet your need. I am really glad that I came across your site. We have recently moved into a rural area. Most people think that they have nothing to fear when you aren’t in the city. I on the other hand think differently. After reading your article however, I have a question and would like your recommendations. I would like a system that would be motion censored, covering a wide area and would able to capture at night. Reason being is wild animals and critters come with the territory here, so I would want to know if it is a varmint trying to get into my garbage can, or a deer passing by before getting freaked out. What would you suggest as for monitoring outside the home that would help us? Thank you for the information in your article and the link for the burglar getting caught in Alaska was awesome. How interesting Lee Ann. We are leaving 10 acres to be closer to some family, so I here you about vermin. As to your own monitoring. I honestly just found the above kit from Mr. Security yesterday. I wasn’t going to include it in my post, but only going to give “my minimums” when I found it. Even though it’s the best quality for price I’ve found, I can’t personally recommend it quite yet. It “looks” amazing on paper, but I’m not planning on buying it until we move next month. At that time, I’ll do a personal review that should be helpful if you’re still need at that time. Thanks for popping in and all the best! Having also lived in a rural community I can confirm it is a huge problem. A lot of items are left unsecured. I have heard of theft from recreational vehicles to livestock. Unfortunately that is a lot of area to cover with some cameras. If were to use a dummy camera chances are no one would notice anyways. I can’t argue with that CJ. You provided a lot of good info. I personally have an actual video security system that I have hooked up to a computer monitor and wirelessly to my phone. Its pretty cool to be able to look on my phone to see what’s going on all around my property. I even have a doorbell security camera that I can even talk to someone that rings it. Thanks for the info. Sounds like you’ve got Detection and Deterrent cared for Fred. Just make sure you have the Defense covered. Call me a dummy or what but I didn’t know you get dummy security cameras! This is news to me and you opened my eyes to other security features as well. I agree with you that your defense has to be solid to safeguard you and your family. I like your post and it is very helpful in protecting your property. As long as we keep learning, right Nicolaas? Thanks for the useful information, I think I’ll opt for a dummy camera to start with, hopefully, it’ll do the trick. 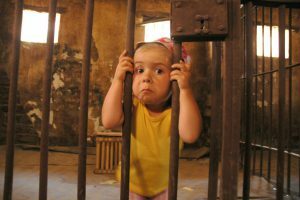 I’m was particularly impressed with your photo of the young criminal, there’s hope for the future! I hope that works well for you Anita. Wow, I didn’t know all of these things before I stopped by and read ’em! If cheap dummy cameras are going to break after a few days, your money has been simply wasted, of course. It’s not worth it! If one really needs to protect something of great value, should opt for a more sophisticated system, and it doesn’t have necessarily to cost a fortune as you say. So, thank you for the tip, because I firmly believe that you saved someone money with this article! I hope so. Your welcome Arianna. When I was 16 and started taking a serious interest in girls, my personal appearance became a higher priority than before. Even back then, however, the latest fashions were expensive, especially when you consider the trends change form month to month. I simply could not afford to keep up. I came up with a brilliant idea. I spent a few dollars at the mall and bought a few of the expensive items, enough for dress for two days. I then went to Walmart and bought the rest of my clothes. I would make sure that I had at least one “real” item mixed in with the knock-off items, and everyone thought I was the man with a ton of money. This is the approach I would recommend when it comes to using dummy cameras. 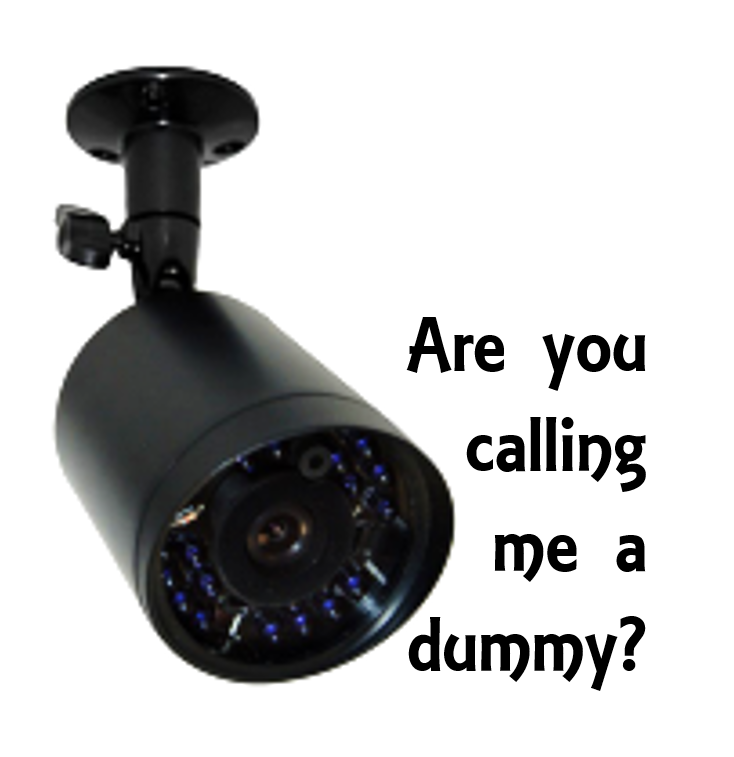 I would purchase one real working camera that catches the widest angle, then complement them with a variety of dummy cameras, which would not only give the impression of a secure house, but will also give you a better sense of security. That’s not a bad idea William. I would only be certain my Defense was strong and that one live camera was enough. I am a bit of a dummy so dummy cameras would suit me. Great post, never thought about this before, but home security is definitely something that’s important. Would you recommend something like this even if you live in a rural area with limited crime? Thanks for sharing! You know Will, when you’re the victim, the crime rate is 100%. CT, I am torn on this one. On one hand, yes, I agree with you: you start purchasing dummy equipment, which never costs too much, but end up having to replace it not too long down the line, as it breaks down, and you end spending yet more money. Before you know it, you will have ended up spending more than if you had bought the real thing. On the other hand, yes, like you I don’t like to spend more than I have to, but between myself and my husband, we are not overly DIYers, and believe that installing a camera kit with all the necessary pre-requisites you mention would be well beyond our remit. Any suggestion if we wanted to secure our home without having to spend $700? I included the kit from Mr. Security because I think it’s a heck of a deal. I would think something like that would meet your need. If I’m missing something, please let me know. On the other hand, I would only go that route if I had secured my entry doors, that is, reinforced my door jambs. And that fix is far below $700. Instead of new dummy cameras, I’d buy old, second-hand real ones. Even if they don’t work, they still look better and are build stronger. Just came across your website which got my attention CT. The reason why I stopped and paid attention is that I always thought, why install an expensive camera security system when I would assume that burglar would avoid properties fitted with cameras (fake or real), therefore a few dummy cameras would do the job perfectly for a fraction of the cost. But, your explanation does make sense and showed me how wrong I was. Especially that professional burglars know how to detect the fake from the real. So thanks for clarifying this to me CT. Great website too. But I think it all comes down to a personal decision. Sometimes deterrents work, sometimes they don’t.